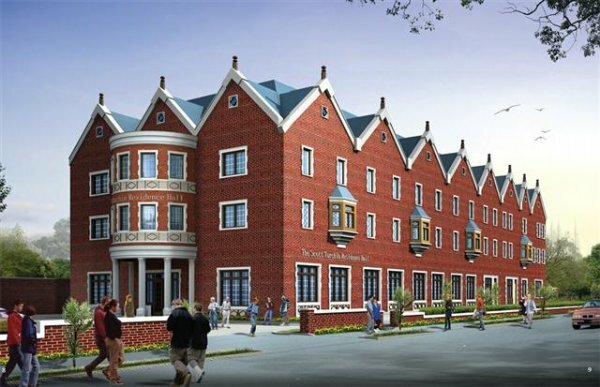 Chabad House at Rutgers University has announced that it will sponsor a Demolition Ceremony as the first stage of construction for the new addition and expansion project. This new construction consists of a 55,000 sq. ft. edifice featuring housing for male students, a new kosher dining hall-cafeteria for 750 students, and a first-ever Sephardic Synagogue. This historic ceremony will take place on Tuesday, November 11, 2008, at 10:30 A.M. at the construction site, 170 College Avenue, New Brunswick, NJ 08901. Noted community leaders, government officials and Chabad supporters are expected to attend this historic event. Refreshments will be served. Rabbi Yosef Carlebach, Director of Chabad House, stated, "We are and thrilled to have reached this important milestone. As we begin this exciting new project, we are cognizant of the important work that has been accomplished at Rutgers University and in central and south New Jersey over the past thirty years, and we recognize our responsibility of increasing our program and activities in the future. This new edifice will enable Chabad to service our young men and women on campus with a combined 90,000 sq. ft. facility, the largest Jewish Campus Center in the world." Chabad House invites the entire community to be partners in the wonderful Mitzvah of bringing the light and love of Torah to all our brethren.